Here is a summary of the holy days and festivals which we mark in our church calendar and celebrate. Where we use incense as part of the service, this is marked with an “*”. 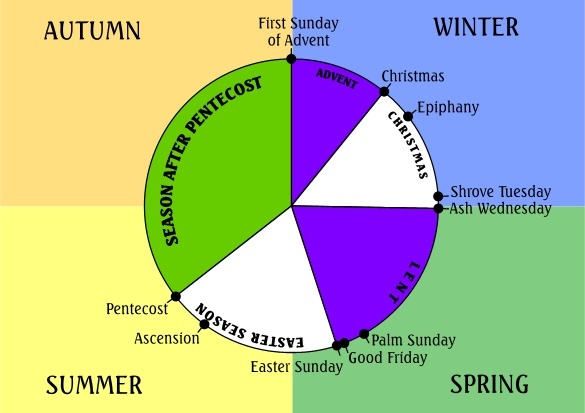 We begin the Church year with Advent, as we prepare to celebrate the birth of Christ.